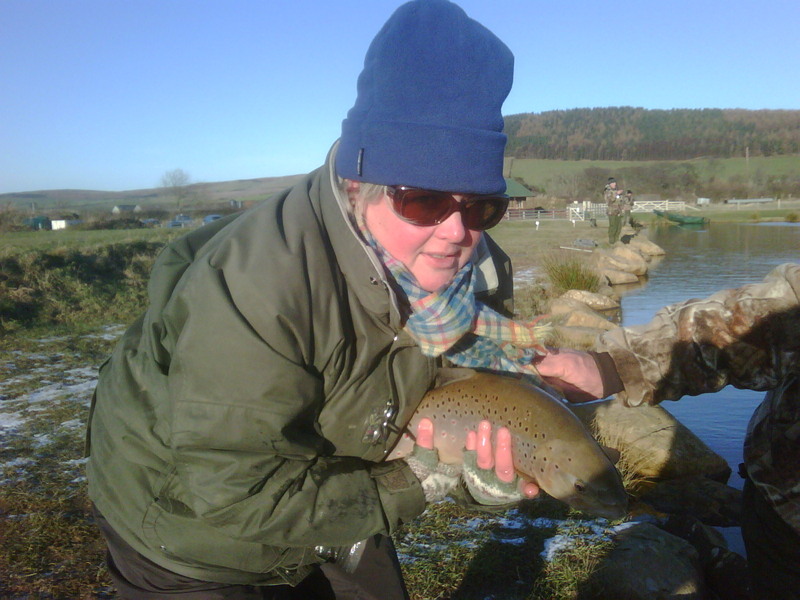 Tracy was keen for the ladies to enter one of the Chatton Trout Fishery winter league competitions, after much persuasion she finally got her wish and we arrived on a cold and windy saturday morning in January adding a little bit of sparkle, well our flies were tinkling in the morning sunshine. Actually everyone was really good to us, realising by the afternoon that we were just ladies out for a fish, well some of us, though Trish and Tracy by now in full competition mode, Trish was in the lead with 4 fish (she is a star). Myself and Tabitha were positioned next to each other, in the afternoon we had the unlucky spots, gale force wind in our faces or on our sides. After a time of this, it was not fun, so we stopped for a chat, the gentleman next to myself also stopped, that says something. So it was a chat about hand warmers and fishing trips until it was time to move on to our next peg. The last peg and Tabitha said “i don’t think i’ll catch my first fish” the gods then shone and Tabitha’s rod bent double, line chasing across the water a brown trout firmly hooked. The game of landing her first fish securely, commenced. 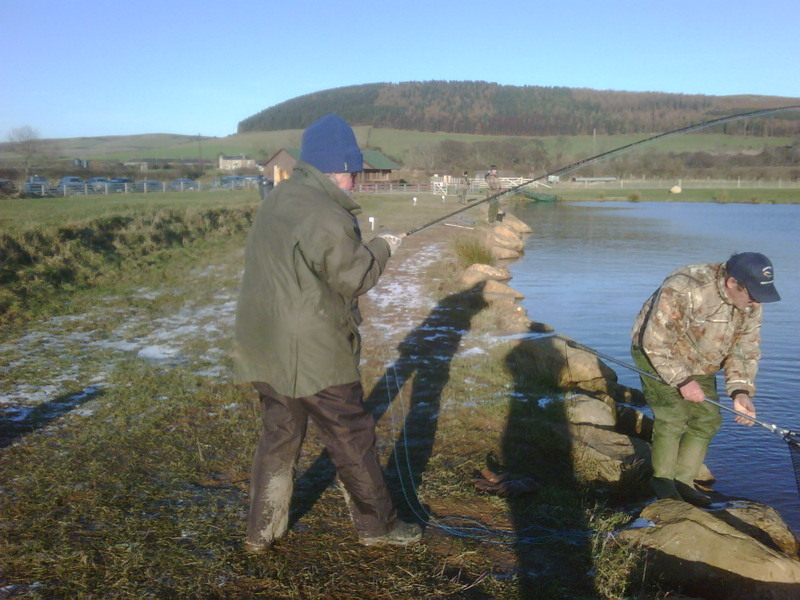 Thankfully Tabitha had the assitance of one of the Chatton regulars who skillfully netted the fish and then said its got to go back its a brown trout about 6 to 7lb. Well we had to have a photo, though Tabitha was more concerned about putting the fish safely back. The day finished on a high note over mugs of tea and cake. The competition won by a gentleman catching 16 fish, well done. We all left happy that we’d had chance to cast our single handed rods in anticipation of a trout, the season has now begun. Great day but wish I’d picked a better hat!